The fitness class I attend traditionally every fourth friday of the month had its regular intercontinental representation: Indians, AngloSaxons of all kinds (from Australia to the UK), the American instructor standing in for that continent, Asians, Africans, I, the only Arab, and the Western Europeans were represented today by three French individuals, one of them waving a surprised hello at me (perhaps his first time here): my son's Science teacher. I smiled vindictively: "Aha! Now he will know how it feels to be a student. French (in the school environment) just don't workout the same way as the Americans. And since this wasn't a judo class (where the French excel) I was predicting the predictable! In this exercise class, instructions are given in academic terms: step by step "consignes" (to take from the French), with a combination of geometrical and anatomical terminology. The requested discipline (tainted lightly by American military philosophy) is similar to the mandatory one at French schools: listen carefully, do as you are told and "surtout" no daydreaming. Simple enough, I thought, as I peered toward the French group. Have a taste of your own medicine! The French who predictably were clustered in a triangular island of their own were picked on the most (for all the cone hats our teachers put on me and my son's head)! They even got a carthesian parable frisbeed at them (and I still don't think the instructor had guessed their nationality by that point, which is the same as French philosopher Descartes): "Mind over body!" And when the instructor asked theroom: "what is up with this group, where were you guys last night, partying hard?" I wanted to venture my own answer: well I was at swarvosky- themed women's only wedding last night, but that is not it. There is a cultural barrier here, can't you see? That cultural barrier that took me so long to surpass when I first participated in this Americanized fitness activity. I battled with the terminolgy, struggled with the energy and misunderstood the mandatory concentration. And that was the moment compassion instead of cruel petty vengeance overcame me. I tried all my telepathic energy. My mind's reflex was to simultaneously interpret: thorastic cage for "cage thoracique", elbow for "coude", heel for "talon". Happily, I think the instructor also felt the language barrier: now he was slowing his instructions, omitting some prepositions (doesn't every english speaker do that when speaking to a foreigner?) and precisely describing: the elbow is the bump between the arm and the showlder. 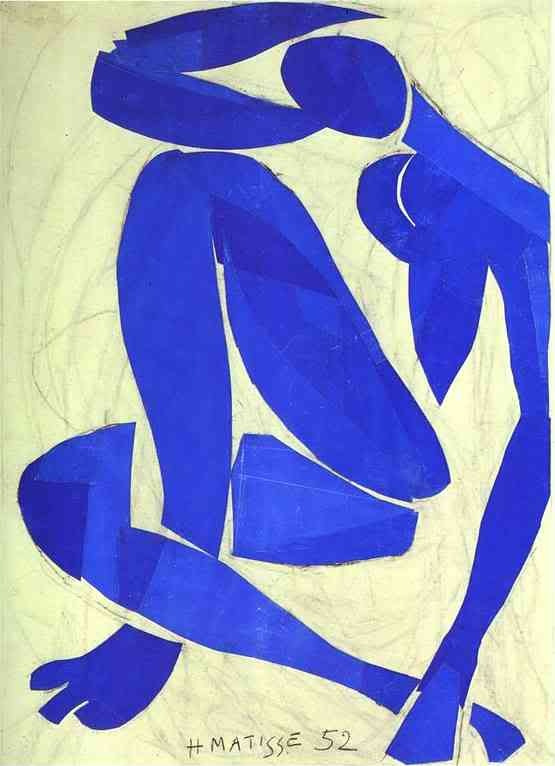 I kept thinking gauche et droite for left and right and we got to that contorsion that ressembles the blue painting by Matisse, and the air loosened, and suddenly we were sweating less in that hot room. Yes it was bikram we took this morning, but I saved that for last because it got in the way the last time I got inspired in that room. When my 10 year -old son heard that his poor science teacher took a bikram class (and he knows the bikram instructor's disciplinary code of conduct) his only remark was: "Maman, do you think he will ever go back?" 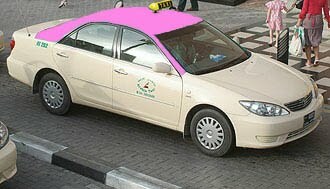 It is my honor to be the first on the blog,since I coined you the "Pink Taxi' the minute RTA in Dubai started the service!Your daily encounters while running your errands and following your children'stight schedule! That Blackberry of yours opened the floodgates to your sense of humour,crisp observation and devotion to your family. If I am the second to be on the blog, I am also honored! I love reading your little stories, experiences and perseptions on the usual and unusual things of life. I may not always have the time to make a comment but I do it for myself and it has opened your world for me, so far away in Dubai but so close. My hat is off to you and I hope everyone in the family reads the blog and comments, Ninijee your humor makes my day. I can't believe Yasmine actually has a blog!! Congratulations! Way cool! I'm today taking some of the weight of the shoulders of the PT blogger,by running part of her errands,so that she can concentrate on giving us more of her creative energy! Your astute observations about the cluster of French students in class and my attempts at getting through to them were uncannily spot on! However that reveals more about where your mind and focus were and why I sometimes lose you to your thoughts during class! Now I know you are mentally composing your next blog entry and will have to be extra careful not to give you too much to write about. ;) By the way, thank you for the French anatomical terms, but I'm afraid I'll never use them because I would undoubtedly massacre the pronunciation and that would only serve to distract the French students even more and quite possibly compel them to try to teach me on the spot the nuances of French vowel sounds to which my American ear is especially deaf!! Thanks for starting a blog...I have been waiting for it! a careful eye on you!